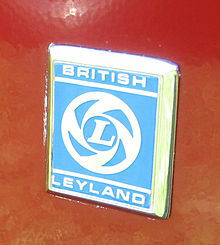 British Leyland wis an automotive engineering an manufacturing conglomerate formed in the United Kingdom in 1968 as British Leyland Motor Corporation Ltd (BLMC), follaein the merger o Leyland Motors an British Motor Holdings. It wis partly nationalised in 1975, when the UK govrenment creautit a holding company cried British Leyland, later BL, in 1978. It incorporated much o the British-owned motor vehicle industry, which constituted 40 percent o the UK car mercat, wi roots going back tae 1895.